Welcome all San Elijo Dance and Music Academy (SEDMA) students and families. 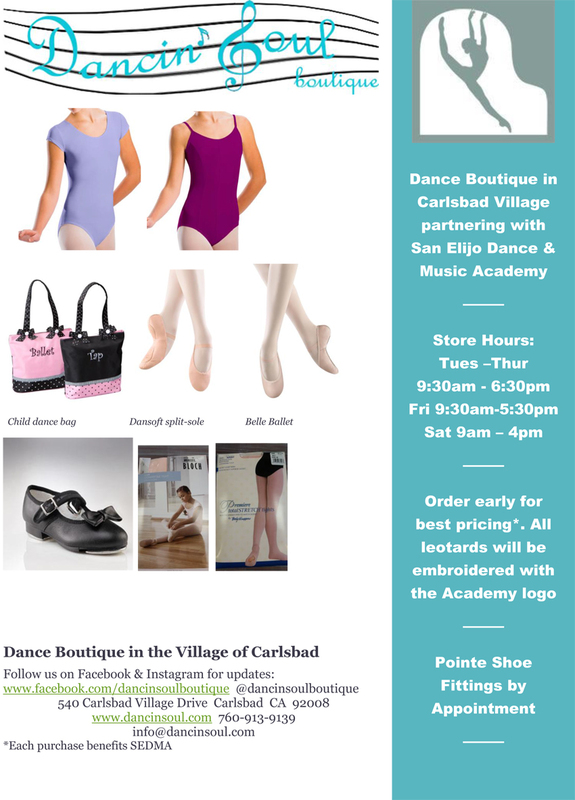 Dancin Soul Boutique is happy to partner with SEDMA to offer all your official dance wear for the 2016-17 dance year. Please email info@dancinsoul.com a copy of your order form or come into the store to place your order. Call in orders may also be taken depending on how busy the store is at the time of your call. If we are busy we will request that we may call you back in order to process your order correctly. 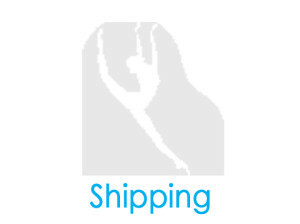 Orders typically take 3-4 weeks to arrive. If you would like your order mailed to your home please include your mailing address and an additional $6.50.